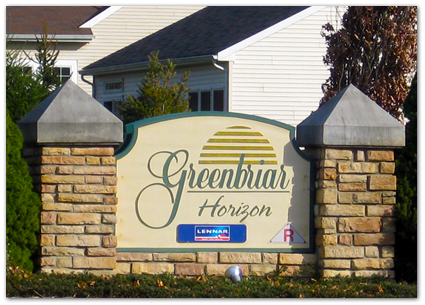 Greenbriar Horizons is a lovely 55+ community located in Bordentown Township, New Jersey. This community offers a large clubhouse to its residents which contains an active lifestyle. This enclosed community also has many amenities that allow for many social and recreational events. Between 2004 and 2006 the company U.S. Homes constructed the grounds here at Greenbriar. The homes in Greenbriar range in size from around 1,600 SqFt up to 3,200 SqFt. Most models in this neighborhood are either 2-3 bedrooms and 2-3 bathrooms. Most models also contain an attached garage. Lawn Maintenance and Snow Removal are provided by the association and are paid for by the association fees. Some of the nearby attractions which are within a short driving distance of Greenbriar are the Princeton Battlefield State Park, Albert Einstein’s House, and Princeton University Art Museum.